A penny of Edward I- II. Probably Class 10cf. London mint. A penny of Edward I/II, Class 10, probably subclass cf(5?) London mint. A penny of Edward I - II, 1300-1310, London mint. Probably class 10cf. 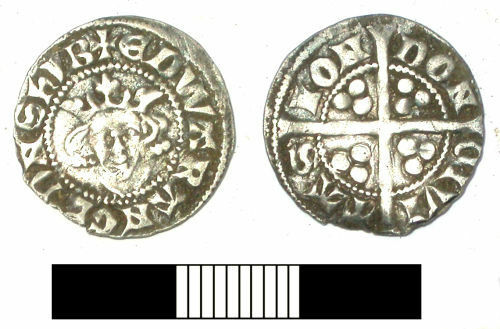 A penny of Edward I-II, probably Class 10cf3, Mint of London, c1300-10.